The Director of Yorkshire Cricket, Martyn Moxon was pleased to have Pujara in their batting ranks. Cheteshwar Pujara is all set to embark upon another journey in County Cricket this year. The Indian middle order batsman has been signed by Yorkshire for the upcoming domestic season in England. The Yorkshire County Cricket Club confirmed the news today as they looked forward to the Indian No.3 joining their squad. He is expected to arrive in time before Yorkshire’s first game. They are scheduled to play Leeds Bradford MCCU on the 7th of April. Pujara was delighted to be representing the Club and the director of the team welcomed his inclusion. He had earlier represented Yorkshire in April 2015 when the team had roped him in as a replacement for Younis Khan. During his stint, the 30-year-old excelled with a tally of 264 runs at an outstanding average of 52.80. He also went on to play for Derbyshire and Nottinghamshire in the next couple of county seasons. 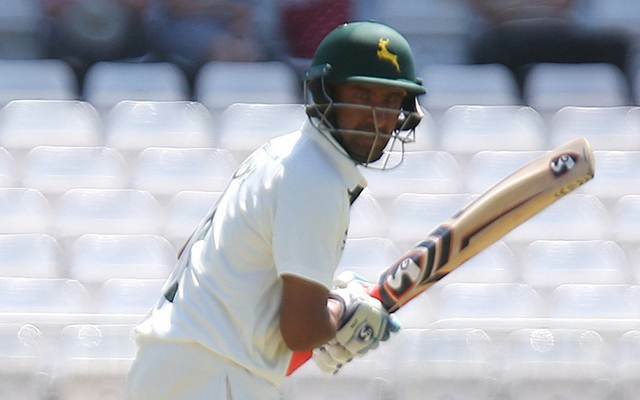 His stint with Nottinghamshire wasn’t as memorable last year as he scored 333 runs at an average of 27.75 during which he really struggled to get going in the initial part and did strike a century and a fifty. While the South Africa tour wasn’t exceptional for Pujara, he scored a spectacular fifty in the third Test. Looking forward to the County season, he was excited to represent the club again. Lauding the passion of the locals for the game, Pujara asserted that they have a splendid atmosphere at the Club and vowed to pile up runs for them. “I’m really excited to be able to have the opportunity to represent Yorkshire once again. It’s always nice to be able to come over here and play some County Cricket and I’m just as excited as I was last time to represent the Club. I love the passion the people of Yorkshire have for the game and they made me feel very welcome. I know quite a few of the players, so I’ll just try to play my natural game and score plenty of runs for the Club,” Pujara was quoted as saying by Cricbuzz. Earlier, Indian cricketers Sachin Tendulkar and Yuvraj Singh have represented Yorkshire. While Tendulkar was the first foreign cricketer in 1992 to play for them, Yuvraj’s county stint was in 2003. Pujara admitted that playing county cricket had improved him as a player. “It’s an honour for me to play for the same county as Yuvraj Singh and Sachin Tendulkar. Each time I’ve played county cricket it has improved me as a player. That’s the plan again in 2018. I just want to score as many runs as possible for Yorkshire and soak up as much as I can from the whole experience.” he added. The Director of Yorkshire Cricket, Martyn Moxon was pleased to have Pujara in their batting ranks. Other than him, Yorkshire also signed New Zealand skipper Kane Williamson for the upcoming season. Praising Pujara’s acumen as a fantastic batsman, Martyn counted upon him to deliver and erase their top order failures from the previous seasons. He also mentioned that the opposition would find it tough to account for the No.3 batsman’s wicket. “It goes without saying that Cheteshwar is a highly-driven individual and very skilled batsman. He proved to be a very likable character the last time he was with us and the plan is for him to relieve some of the pressure on the top order that we struggled with at times in 2017. Just as he did in 2015, Pujara will relish the challenge of performing in English conditions. He’s very difficult to dislodge and will hopefully dominate the crease for us during his stay,” he noted.